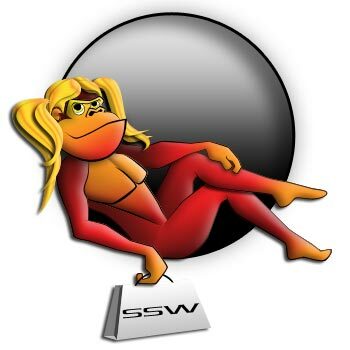 By now I’m sure you’ve noticed the new Speed Scene Wiring mascot. Let me take a moment and explain what he represents to our wiring company, and what that means for you, the customer. First, I can assure you that Speed Scene Wiring is up-to-more than just gorilla business; we are busy creating awesome electrical wiring systems that do more than go from point A, to point B, with high efficiency, we make sure they actually work. All of this is handled in there own language, a language that leads by example, and not by force or over reaction. The only time a gorilla has to show his position with force is when all other options have failed. They also teach us to be active in a community, be productive, and take accord of any decision they have personal control over. 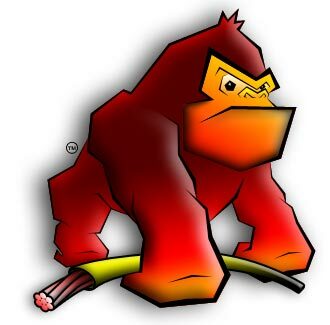 The gorilla also is a sign of honor and a deep sense of wisdom, simply put – lead by example, or you’re out of the troop! The gorilla also is very generous with his knowledge and shares with the other members of the troop. Speed Scene Wiring also believes in this, the DIY division of our company helps customers modify, and repair there own LS1–LS2–LS3–LS7-LS engine wiring harnesses. Like all Animals even our very own Gorilla-Z gets lonely, so this past year he has been engaging in social media, online friend sites, as well as experiencing the Texas bar scene and has found him self a girlfriend. Who are we to tell him what to do in his spare time (-3Hrs a night), when he’s not making wire harnesses or programs or posing for the fine customers of Speed Scene Wiring, he is out enjoying life and his time with his new found love. But the question goes un-answered why is Polly-G a part of the online store? Its simple she needed a job, so we gave her a shot and also made her part of the SSW team. She has many great ideas and really wants you Men and Women to buy her products. After all we do make a better product than the competition, and mixed with her ideas, we have the perfect dream team. Polly-G is also a consumer and has a taste for many of the hi performance brads out there, but wants to make sure you never make your decision on just price. So stay tuned, who knows what will happen.